Join us as we celebrate a century of Girl Scouting! 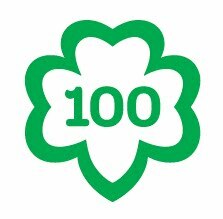 All Girl Scouts and their families are invited at attend Girl Scouts 100th: Celebrating Green Forever! Enjoy fun, hands-on activities, stage performances, and exhibits that showcase how Girl Scouts care about the earth and their communities. If you know anyone interested in being an exhibitor at this event, please send their contact information to 100@girlscoutshcc.org. We would like representation from all 18 counties within our jurisdiction. Event tip: This is a great way to spend the money your troop earned during the Magazine & Nut Program and Girl Scout Cookie program.